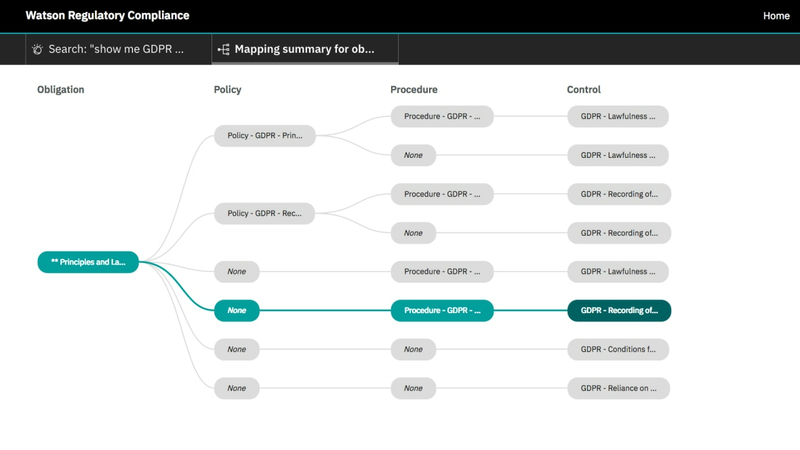 IBM OpenPages with Watson Regulatory Compliance Management (RCM), available both as SaaS and on-prem solution, streamlines ongoing regulatory compliance management functions, reduces time and costs of compliance, and facilitates sustainable management of obligations and controls. Uses cognitive natural language to streamline identifications of obligations and controls required to address regulatory change. Enables you to proactively assess and manage regulatory requirements. Provides a complete view of assessment and applicability tasks associated with regulatory change. Helps you reduce the time and costs related to understanding and triaging regulatory alerts. Provides a comprehensive platform for ongoing management of regulatory change and remediation of requirements and controls.